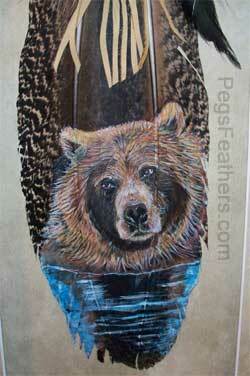 Hand Painted Feathers - "Where's My Fish"
This black bear is spending his summer fishing. Do you think he will be hungry? Don't see what you want? You can have a custom painting created just for you. Just contact Peg Fennimore at Spirit Wind Studio.